Ernest Borel expands its range with a new collection of chronographs. 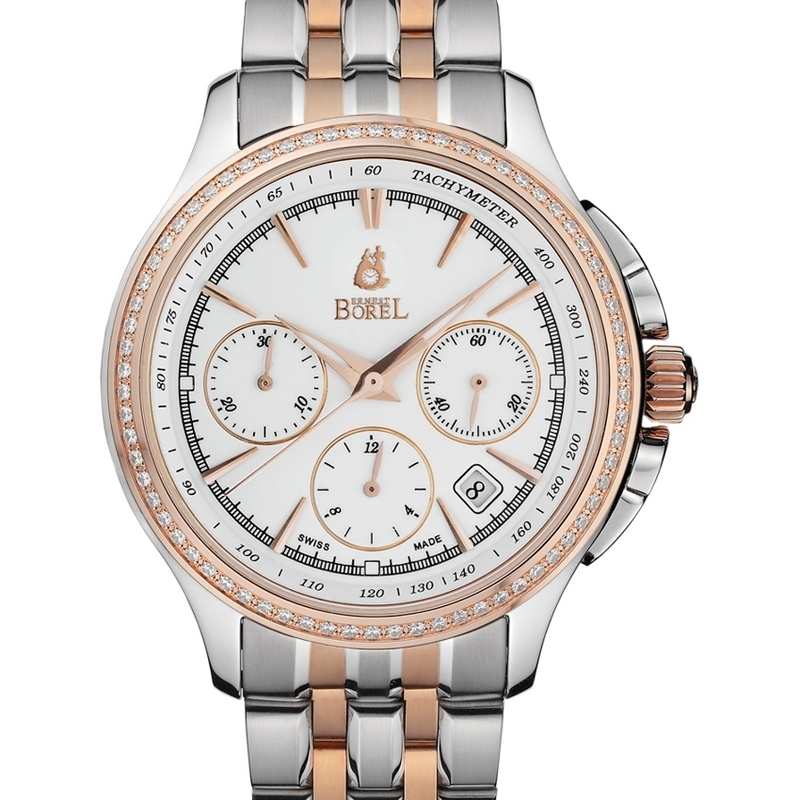 Measuring short intervals is as much in demand as ever; now Ernest Borel puts its seal on the chrono's three counters. The twin tones of the generous 41 mm case and the 18k pink-gold plated bezel, set with diamonds, the matching bracelet, the facetted hands and hourmarkers or, visible through the transparent case back, the rhodium-plated movement with its delicate "Côtes de Genève" decoration and blued screws make up the Swiss firm's signature style. 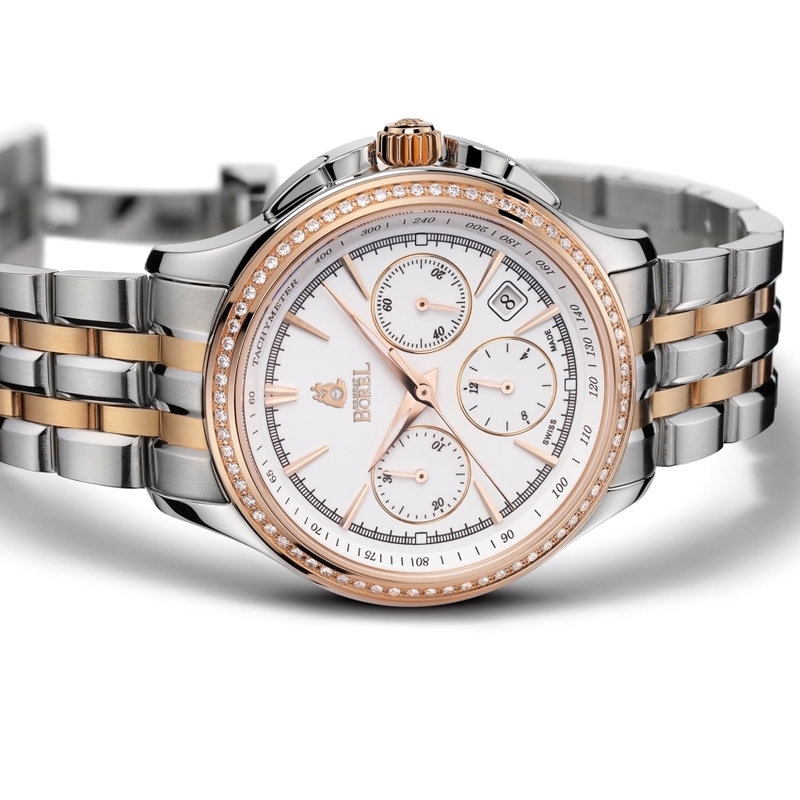 Chrono Collection is a natural continuation of the company's expertise. An intense personality combined with soft curves will once again win aficionados' hearts. Dimensions and functions will appeal to men while ladies could be tempted by the sparkle of diamonds.